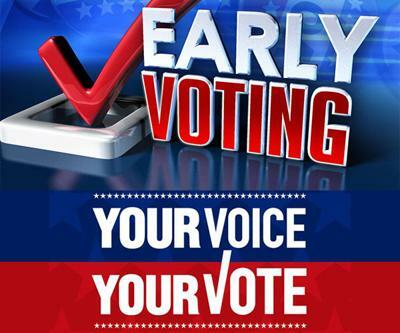 Acting Registrar of Voters Debbie Tebbetts released information on early voting. There were 45 votes cast Saturday. Of those 23 were male and 22 were female. Democrats accounted for nine ballots, Republicans cast 28 and there were eight other party votes. Most voted in person, 41, while four were absentee. Early voting for the March 30 election will be in the Registrar of Voters Office, 200 Church Street (Courthouse), Room 103, Monday, March 18 – Saturday, March 23. Hours are 8:30 a.m. to 6 p.m. each day. This election will be for District No. 2 and is for a one-half percent sales and use tax to be dedicated for the constructing, improving and maintaining of public roads and bridges in the District. District No. 2 is comprised of all voters outside the city limits of Natchitoches and outside the city limits of Campti.